I hope that you had a wonderful weekend! With all of this up and down weather, I won't be surprised if I happened to come down with a cold or something. I'll be glad when the warm weather finally comes this way. Anywho, today I have the mani I did for this month's Nail Challenge Collaborative. The theme this month is black and white. Here we go! Although the prompt seems easy enough to do it's just me thinking of what types of manis I'm going to do lol. Either way, it should be fun to see what I come up with. To be honest I pulled out a stamping plate from my growing collection and wasn't sure which image to use. Then, of course, my daughter walks in and goes pick that one! So big thanks to her for helping me make a decision lol. Don't forget to check out the other ladies below! I already got sick from this silly weather. 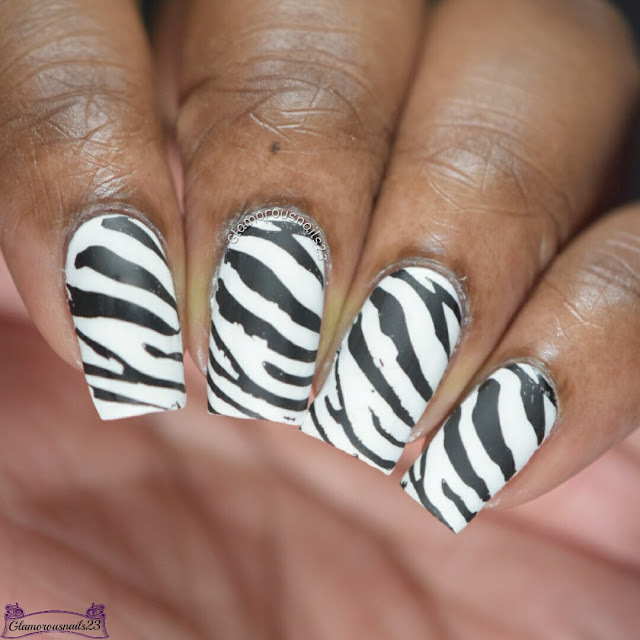 I love a good zebra nail art! Loving this! 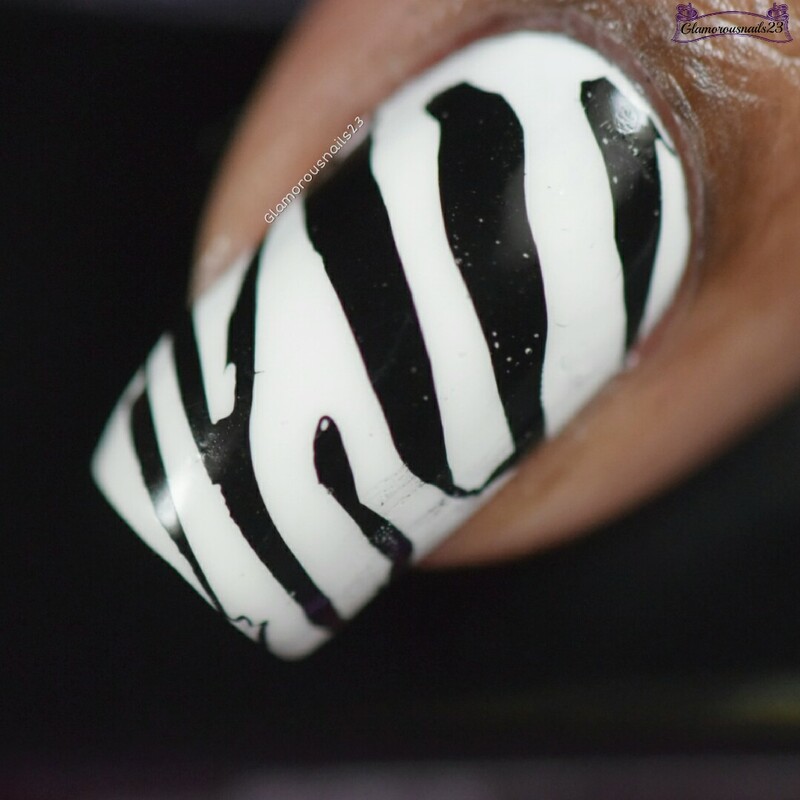 I cant believe I haven't done any zebra nails lately. I dig these! I've always had animal print nails on my to do list, but they still haven't happened. You know how long I've had Zebra Print to do on my list. Almost two years lol. Thanks Tiffany! This is the first time that I've done them. I (at the time of writing this and having my finger and toes crossed) have been lucky so far to not get sick from this weather lol. I hope you are feeling better though! 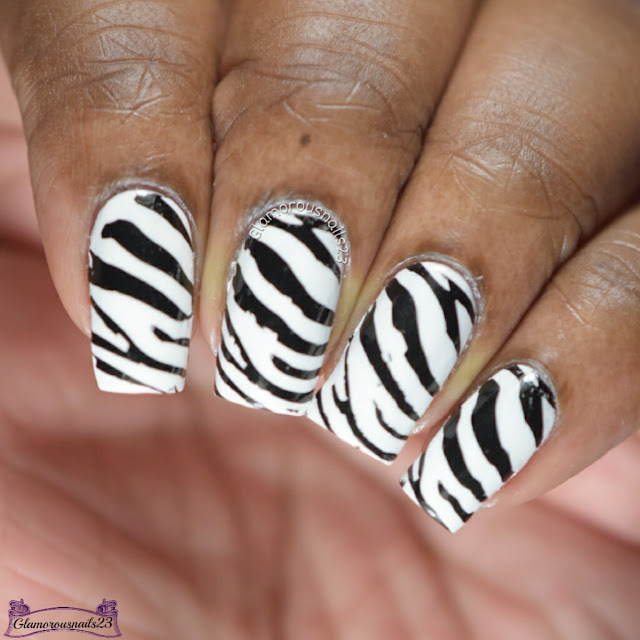 I love animal print on nails! :) So fun!